A smiling baby Nora on her final photo session of her first year. Baby Nora's finished Baby Panel, shown below, now has images from the 3, 6, 9 and 12 month milestone sessions. 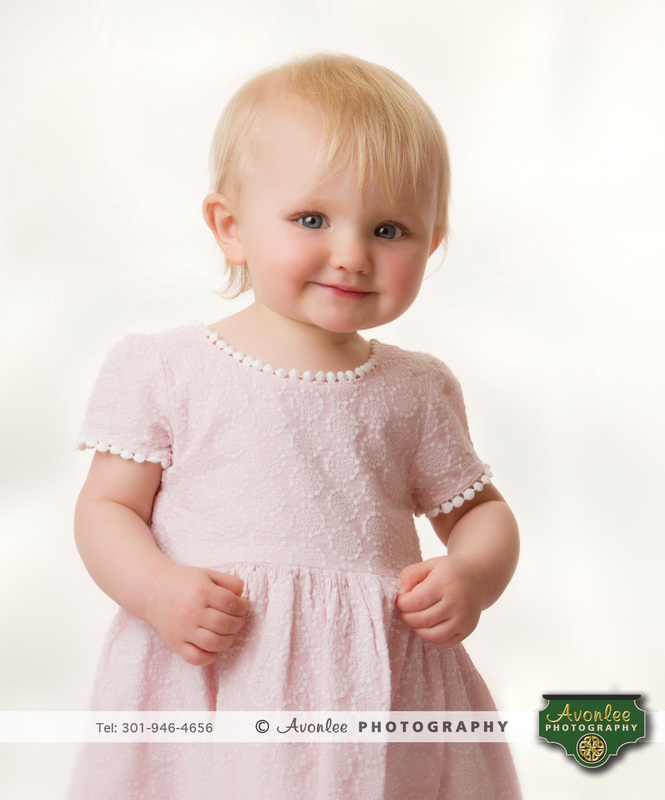 Avonlee Photography - Photography studio located just north of downtown Kensington. Available for portraits, weddings, mitzvahs and commercial clients. Newborn baby photographer in Bethesda and Chevy Chase Maryland.